One of the issues I have when working with Tarot, in general, is a tendency to fall back on other peoples' interpretations. Something I'm liking about Tarot Inspired Life is the lack of meanings lists. "This card symbolizes this and means thus, always and evermore for everyone and every situation." I've read examples of what a card, or a color, or a symbol on/of a card means to you. But, your book makes it clear without smacking people over the head that it is YOUR typical meaning. Not necessarily mine. That's beautifully unique in my experience. I am deliberately taking my time with Tarot Inspired Life. I'm planning to finish reading the whole thing. Then, I think I want to go through it chapter by chapter, with the exercises. I'm loving how the theme is not so much, or not just, Tarot, but you, the reader. This was a much-needed book, Jaymi. I'm so glad you wrote it. Make tarot the centerpiece of your spirituality with this inspiring, insightful guide to incorporating the cards into your daily life. 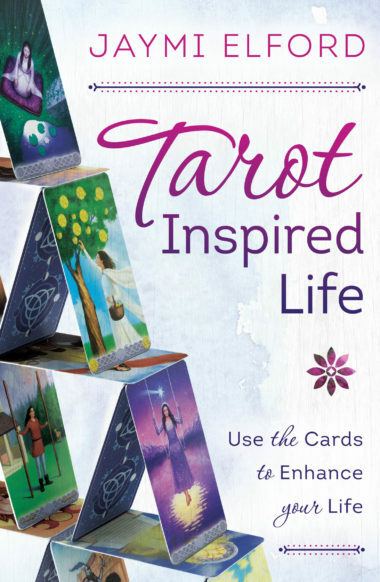 Designed to help you apply the cards to your spiritual and everyday practices, Tarot Inspired Life is the perfect workbook for anyone who wants to make their tarot practice deeper and more meaningful. This is not another tarot book filled with keywords, descriptions, or correspondences. This book encourages you to befriend your deck, personalize your spreads, and keep a tarot personal assistant. Discover how to use the cards for creative writing, meditation, and connecting to spirit guides. Learn how your deck can be an agent of change through invocations, seasonal rituals, and more. Jaymi Elford offers guidance in following your own path, honoring your own messages and interpretations of tarot. Order a copy now from amazon right now in both paperback and kindle formats. Prefer ePub format? Get it from Google Play! You can also order it from Barnes & Noble and Llewellyn Books.